Christina Bizzell joined the firm in February to learn PR. She’s a student at UNC-Chapel Hill and has thrived in her role, landing client interviews in top podcasts in the creative entrepreneur space like Creative Biz Rebellion and Strategy Hour. 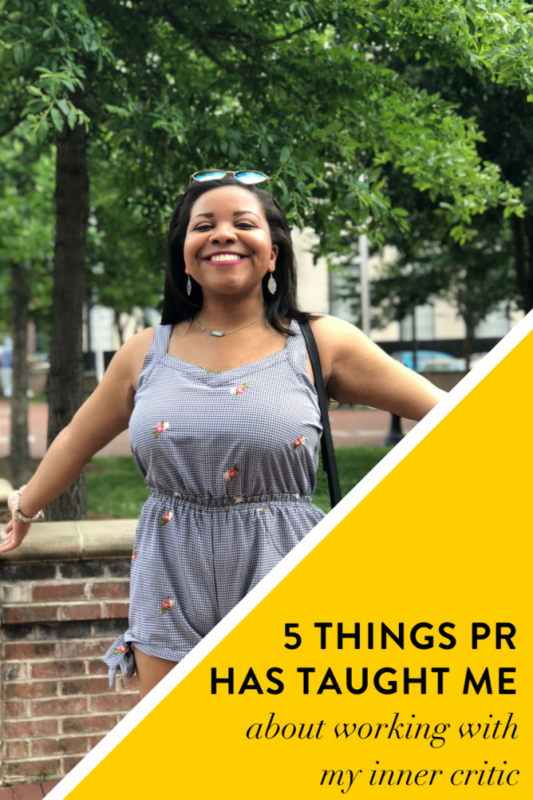 When I decided to pursue a career in PR, I knew that I would have to develop skills like communicating effectively and managing multiple priorities. What I didn’t quite anticipate is how much of my initial learning and growth would be around dealing with things like your inner critic and imposter syndrome. Even now, as I write this first blog post about trying things you aren’t sure you’ll be good at, my inner critic wants to know who would want to take advice from a 20-year-old. But regardless of age, it’s a pretty universal experience to fear trying new things, and in taking on this role, I realized that my own fears and beliefs were the #1 thing holding me back. As much as it can feel like there’s a secret camera crew just waiting for me to mess up, my favorite thing about not being Kylie Jenner is that paparazzi doesn’t follow me around broadcasting my worst moments. The world doesn’t have to know when I get a tough edit or that time I fell down a particular set of very public stairs on campus and limped away with my pride more bruised than my body. Waiting to be publicly flogged/laughed at/shamed was holding me back from learning what I needed to learn to succeed in my new role. When I realized that the world wasn’t waiting for the chance to laugh at me, I finally gave myself the freedom to try new things. I used to not like telling my friends and family when I was trying something new, especially when it wasn’t going well. I didn’t want to tell them I was having a hard time with the science classes I took back when I dreamed of going to nursing school. I was afraid they would think less of me as a person if they found out I was failing at something. Luckily, I’m often wrong, and this situation was no exception. My friends and family completely understood that everyone has things they aren’t good at. They reassured me that it’s common to change career paths several times before settling on one. Knowing that it was ok to fail empowered me to start saying “yes” to more opportunities. Though I’ve grown a lot in my time at this job, starting new projects is still the hardest part. Negative thoughts run through my head and paralyze me with fear. The support of my friends and family was helpful, but it wasn’t a magical, instant-confidence button, because my biggest critic lived inside my head. I realized that I was the secret camera crew just waiting for myself to mess up. I was the one who was ready to publish a nasty headline about myself at a moment’s notice. You’re often your own biggest obstacle in life. Think about some of the things you’ve said about yourself in the mirror, and imagine trying to say those things to one of your friends. You’d never speak that way about someone else. For some reason, people tend to think it’s ok to tear themselves down. I try to anticipate negative comments and criticism, so I can prepare myself for them. But I frequently take it too far. There’s a fine line between preparing yourself for criticism and just being plain mean to yourself. Your inner critic is going to put up a fight that would put Floyd Mayweather to shame, so you have to be prepared. Practice recognizing negative thoughts and stopping them in their tracks. Don’t let yourself pile mean words on yourself. Instead, arm yourself with truth. 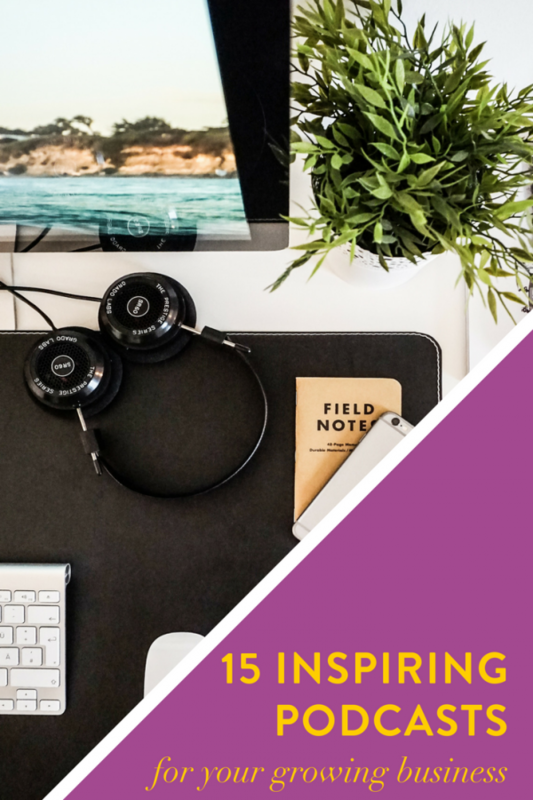 It isn’t necessarily true that you’ll never reach your goal of booking 20 podcasts. What is true is that you’ve already booked 5, which means you’ve sent successful pitches before. There’s no reason why you can’t do it again. Firmly tell your inner critic about all the times when you did a good job on something that was new to you. Remind your inner critic of how smart you are and all the useful skills you have. Push back when your inner critic tries to tell you that you’re the only person who ever feels inadequate. It helps me to identify the lies that I find myself believing the most and having truths ready in advance to fight those particular lies. My inner critic is pretty dramatic and likes to tell me that if I make a mistake, it’s going to destroy the business, and Brigitte is going to go bankrupt and have to live on a park bench. But I’m prepared and ready to fight back with truth. I definitely do not have enough power to bankrupt the business. If an employee making a mistake was enough to make businesses file for bankruptcy, there wouldn’t be a single business still around. With every word of truth and affirmation that you speak over yourself, your inner critic gets weaker, and you get stronger. Eventually, you will overpower your inner critic and overcome its destructive hold on you. There is freedom in knowing it’s ok not to immediately succeed at something new, and it’s ok to write a bad first draft. The fact that you started at all is progress, because you can’t revise a blank piece of paper. This is my first “real” job, and in the beginning, I was constantly anxious, because I really thought that bosses wanted to see their employees fail. I genuinely thought Brigitte was waiting for me to mess something up and that I’d be immediately fired if I did. After making a million mistakes and not getting fired, I realized being terrified of failure is a prison. Fear of failure will chain you down and keep you stagnant. It’s a million times less scary to try new things when you know you won’t die if it doesn’t go well. What gets me through the fear is reminding myself of my favorite line in “Just Give Me a Reason” by Pink: we’re not broken, just bent. Broken feels permanent. A broken glass doesn’t get put back together. But bent can be restored. A mechanic can fix the dented exterior of a car after an accident. You can reframe your pitch and try again with new podcasts if none of the first podcasts you pitched respond to you. 5. The truth is no one wants to see you fail. The risk of missing out on a great opportunity has become much more important than the voice of my inner critic.